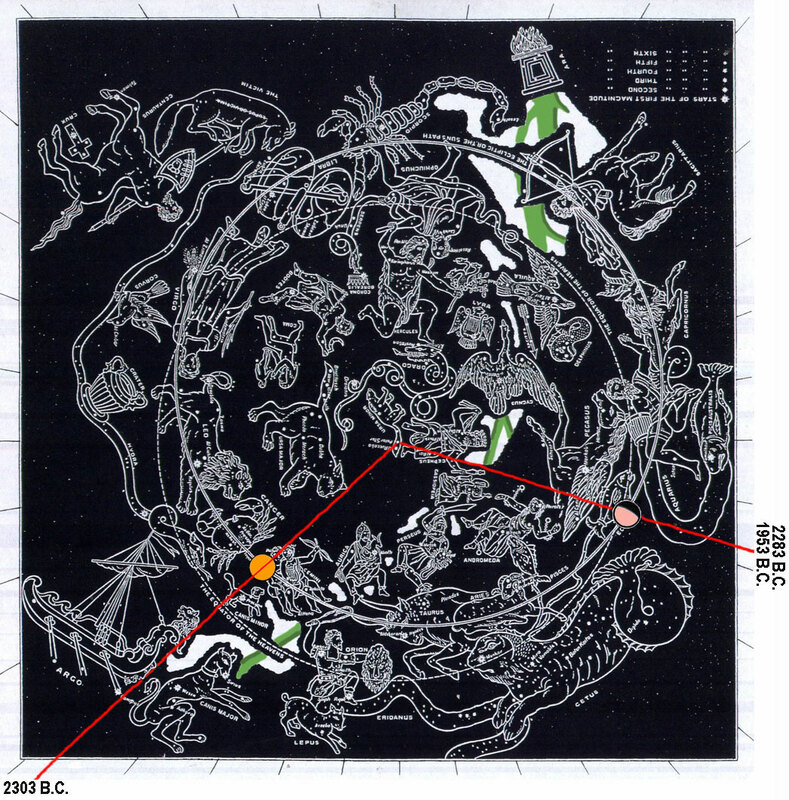 Genesis chapter 9 Star Chart: From when "God (Argo) blessed (Aquarius) Noah and his (Gemini) sons, and said unto them, Be fruitful, and multiply, and replenish the earth" (9:1) in 2303 B.C. till "Noah lived after the flood three hundred and fifty years" (9:28) or 1953 B.C. is 350 years or (350 x 12 =) 4200° months which is 11 complete laps plus 240° months more. Therefore, from 2303 B.C. till Noah (Aquarius) "drank of the (lunar pink) wine, and was drunken; and he was uncovered within his (red radius) tent" (9:21) and (lunar pink) (red radius knife) castrated to prevent his being fruitful (so inheritance would only be divided three ways) was merely 240° months which allows enough time for Canaan (Perseus) to be born and reach age 20 (240/12 = 20). 9:1 And God (Argo) blessed Noah (Aquarius) and his (Gemini) sons, and said unto them, Be fruitful, and multiply, and replenish the earth. 2 And the fear of you and the dread of you shall be upon every (Argo lion, Ursa Major, Ursa Minor, Pegasus) beast of the earth, and upon every (Pegasus) fowl of the air, upon all that moveth upon the earth, and upon all the (Pisces) fishes of the sea; into your hand are they delivered. 3 Every moving thing that liveth shall be meat for you; even as the green (Milky Way) herb have I given you all things. 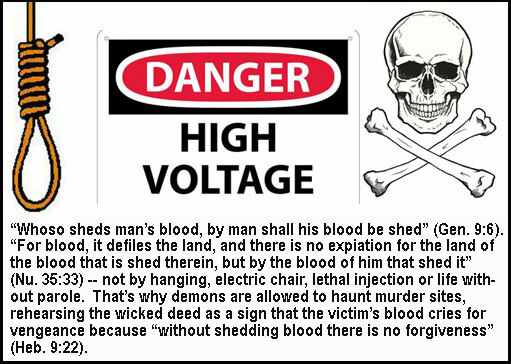 4 But flesh with the life thereof, which is the (red radius) blood thereof, shall ye not eat. 5 And surely your blood of your lives will I require; at the hand of every beast will I require it, and at the hand of man; at the hand of every man's (Gemini) brother will I require the life of man. 6 Whoso sheddeth man's (red radius) blood, by man shall his (red radius) blood be shed: for in the (Argo) image of God made he (Gemini) man. 7 And you, be ye fruitful (Noah, have more children), and multiply (Noah, have more children); bring forth abundantly in the earth (Noah, have more children), and multiply therein (Noah, have more children). 10 And with every living creature that is with you, of the fowl, of the cattle, and of every beast of the earth with you; from all that go out of the (Argo) ark, to every beast of the earth. 11 And I will establish my covenant with you, neither shall all flesh (Gemini, etc.) be cut off any more by the waters of a flood (Aquarius); neither shall there any more be a flood (Aquarius) to destroy the earth. 13 I do set my (red radius rain) bow in the cloud, and it shall be for a token of a covenant between me and the earth. 15 And I will remember my covenant, which is between me and you and every living creature of all flesh; and the waters shall no more become a (Aquarius) flood to destroy all flesh. 16 And the (red radius rain) bow shall be in the (Milky Way) cloud; and I will look upon it, that I may remember the everlasting covenant between God and every living creature of all flesh that is upon the earth. 17 And (Argo) God said unto (Aquarius) Noah, This is the token of the covenant, which I have established between me and all flesh that is upon the earth. 18 And the (Gemini) sons of Noah, that went forth of the ark, were (Gemini) Shem, and (Orion) Ham, and (Gemini) Japheth: and Ham is the father of Canaan (2303 B.C.). 21 And he drank of the (pink lunar) wine, and was drunken; and he was (pink lunar) uncovered within his tent. 22 And (Argo) Ham, the father of (Perseus) Canaan, saw the nakedness of his (Aquarius) father, and told his two (Gemini) brethren without. 23 And Shem and Japheth (Gemini) took a (Milky Way) garment, and laid it upon both their shoulders, and went backward, and covered the (lunar pink) nakedness of their (Aquarius) father; and their faces were backward, and they saw not their father's (lunar pink) nakedness. 24 And Noah (Aquarius) awoke from his (pink lunar) wine, and knew what his (Ham's) younger son (Canaan) had done unto him (castrated him). 25 And he said, Cursed be Canaan; a servant of servants shall he be unto his (Gemini) brethren. 27 God shall enlarge Japheth, and he shall dwell in the (red radius) tents of Shem; and Canaan shall be his servant. 28 And (Aquarius) Noah lived after the flood three hundred and fifty years. 29 And all the days of (Aquarius) Noah were nine hundred and fifty years: and he died. 1. Egyptian. Egypt was long supposed to have no Flood tradition. Naville (P.S.B.A., 1904, pp. 251–257, 287–294) has recently published the following from a text of the Book of the Dead: “And further I (the god Tum) am going to deface all I have done; this earth will become water (or an ocean) through an inundation, as it was at the beginning” (quoted by Skinner, p. 175). 2. Syrian. “The wickedness of men became so great that they had to be destroyed. Then the fountains of the earth and the floodgates of the heaven were opened, the sea rose ever higher, the whole earth was covered with water and all men went under. Only the pious Deucalion (Xisuthros) was rescued, by hiding himself with his wives and children in a great chest ‘which he possessed.’ When he entered, there came in also, in pairs, every kind of four-footed thing, serpents, and whatever else lives upon the earth. He took them all in, and God caused great friendship to be amongst them. At last the water ran away through a small cleft in the earth. Deucalion opened the chest, built altars, and founded over the cleft in the earth the holy temple of the goddess” (Pseudo-Lucian, De dea Syria, § 12). 6. Babylonian: from Skinner (p. 175). : “Of the Babylonian story the most complete version is contained in the eleventh Tablet of the Gilgamesh Epic [discovered by G. Smith, in 1872, among the ruins of Asshur-banipal’s library; published 1873–4; and often translated since]. Gilgamesh has arrived at the Isles of the Blessed to inquire of his ancestor Utnapishtim how he had been received into the society of the gods. The answer is the long and exceedingly graphic description of the Flood which occupies the bulk of the Tablet. The hero relates how, while he dwelt at Shurippak on the Euphrates, it was resolved by the gods in council to send the Flood (abûbu) on the earth. Êa, who had been present at the council, resolved to save his favourite Utnapishtim; and contrived without overt breach of confidence to convey to him a warning of the impending danger, commanding him to build a ship (elippu) of definite dimensions for the saving of his life. The ‘superlatively clever one’ (Atra-?asis, a name of Utnapishtim) understood the message and promised to obey; and was furnished with a misleading pretext to offer his fellow-citizens for his extraordinary proceedings. The account of the building of the ship (ll. 48 ff.) is even more obscure than Genesis 6:14-16 : it is enough to say that it was divided into compartments and was freely smeared with bitumen. The lading of the vessel, and the embarking of the family and dependants of Utnapishtim (including artizans), with domestic and wild animals, are then described (ll. 81 ff. ); and last of all, in the evening, on the appearance of a sign predicted by Shamash the sun-god, Utnapishtim himself enters the ship, shuts his door, and hands over the command to the steersman, Puzur-Bel (ll. 90 ff.). On the following morning the storm (magnificently described in ll. 97 ff.) broke; and it raged for six days and nights, till all mankind were destroyed, and the very gods fled to the heaven of Anu and ‘cowered in terror like a dog.’ ” Later Utnapishtim sends forth birds (dove, swallow, raven), finally lands on a mountain Nizir, and disembarks and offers a sacrifice.